On the bucket list of travelers from all walks of life, Europe holidays offer the best time of your life. The continent though small in size is packed with the most wonderful delights for tours with families, a romantic honeymoon and more. 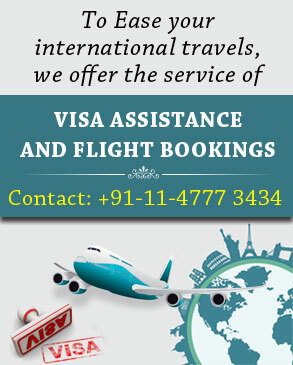 Explore the heavenly delights on your travel and for it we present the best well-planned Europe tour packages by Indian Holiday. Home to 44 countries and hundreds of cities, the landscape comprise snowy mountains, tropical shores, ancient cities, modern metropolis, and more. A Europe trip will allow you to experience the magical beauty, vibrant culture, thriving festivals, classical architecture, mouthwatering gastronomy, wonderful range of chic shopping and other cherished experiences. The highlights of the best European vacations include a visit to Eiffel Tower in Paris, boat ride in Venice, trip on cable car in Switzerland, explore the ruins of Rome, and pose with the marvelous edifices spread all over. Stay at castles enjoying royal treatment. Do not miss to taste Italian cuisines, French delights and other pleasures with a drink fresh from the vineyards. Adventure sports are also available in plentitude. In addition, marvel at classy art museums and charming neighborhoods. Stop at the warm cafés, high-end stores and boutiques to shop for souvenirs. Festivals add to the thrill of Europe holidays. These occasions raise the spirit with merry-making till the early hours of the day. While making plans for travel to Europe, the season is the most important. While the white snow is pretty exciting, it is the blissful summer that offers the perfect vacation. Also, the thrill of a fairytale white Christmas is an absolutely unmissable delight. But in the warm weather, the lovely summer, holiday in Europe becomes fascinating beyond words. The natural landscape is amazing, festivals mark the calendar and the weather adds to the enthralling bliss. Join the festivities that include mesmerizing music festivals, events that celebrate the gastronomy, parades that bring the people on the streets and much more. In a single Europe holiday package, visit the many amazing travel destinations. From the heritage tour to cultural excursion, beach getaway to skiing expeditions, the options are limitless with each wonderful in its own way. Nothing is more amazing than romantic honeymoon in Europe or a family vacation! So when are you planning your tour to Europe? Check out our extensive range of Europe travel packages before you make plans to explore the charming continent.